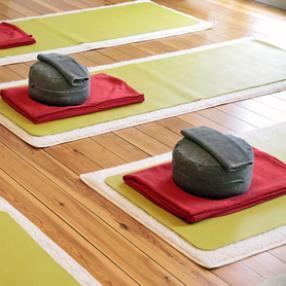 Immerse yourself in the blissful practice of yin yoga and aromatherapy. Yin yoga, with predominantly seated and reclined postures, stays close to the ground, allowing you to melt into your mat. Deeply release tension as you stretch the connective tissue of your hips, pelvis and spine. This multi-sensory experience includes the use of therapeutic essential oils to deepen the practice, including chakra and meridian-specific blends. Breathe, find stillness, and melt your worries away. Second Sunday of each month. In Ashtanga Mysore, each student receives individual attention from the teacher while practicing with others in the same class….each student practicing at their own speed and level. This powerful way of learning yoga helps create discipline, giving you a yoga practice for life, and teaches you how to practice properly, for your own changing needs. The class runs for two hours (Sunday 8am for 90 minutes)….you may come in from the start time on, as long as you are done by the finish time. This is a class appropriate for ALL LEVELS of practitioners….if you are a beginner just let us know ahead of time, and we will help launch you onto the path. Every Sunday. Gentle Hatha Yoga Class. Come on in and enjoy an inward focused class, it's about time and space for you to feel your breath and body. All are welcome, from beginner to advanced, the poses and sequences are able to be adapted, but the focus will remain on strengthening from the inside out. Cost is $12. Please pay in cash or check if possible. Cassie Eshelman will be teaching and will happily greet you with a smile, she loves seeing folks embrace their yoga selves. Namaste. This Vinyasa Flow style class is open to multi-levels of yoga experience. Student’s willing to accept the challenge of honoring their limitations and moving beyond the mental restrictions that limit the body-mind from achieving full potential are all welcome. This class is the perfect opportunity for students willing to take the next step in their yoga practice. Open to Level I, intermediate and advanced students. 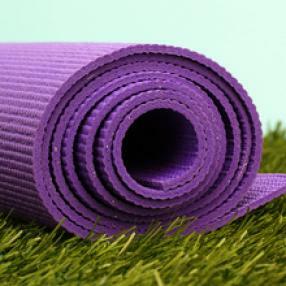 New or first time Yoga students must first take the Level I or Yoga Flow classes before attending the Vinyasa classes. Come breathe, flow, and connect with me in the mixed level (sometimes sweaty) vinyasa practice. Energetic all-levels class. Warm-up, Kriya, and Ending Meditation. Students love this active Sunday morning practice. We flow to fun, upbeat playlists infused with positive energy. Each week, new themes are introduced in the areas of mind, body and spirit. Inspirational readings accompany each class including lessons on chakras, Ayurveda, and more. Options are given allowing students to challenge themselves or take it easy, often with restoratives to end practice. What to expect: This class focuses on relieving and reducing the everyday stress that so many of us encounter. Using gentle to moderate Yoga poses (asanas), breathing techniques (pranayama), and meditation, this class helps one to create a more peaceful life both on and off of the mat. Is this class right for you? This class is appropriate for both beginner and experienced students looking to reduce stress. This gentle yet effective approach to yoga will open your body up through the use of breathing, props and a variety of modifications to time-tested yoga postures. This class will help you feel “at home” on the mat, and aid you in becoming aware of how to move your body through the practice with ease and comfort. Class is 1 hour long. Gentle yoga is perfect for people of all ages and fitness level. Students can expect to move safely while aligning body, mind and spirit. Experience deep relaxation and enjoy how it's effects ripples into your every day life. No yoga experience required. Ashtanga Foundations is designed for those at the beginning stages of yoga practice as well as for those wishing a slightly slower class. This class is based on Ashtanga Vinyasa Yoga, which is designed to be “meditation in motion”…we link breathing and movement, in a flowing series of postures. We will cover the fundamentals of Sun Salutation, some standing postures and seated postures of the Ashtanga form, completing half of the Ashtanga Primary Series of postures. Class is 75 minutes long. During the cooler months, this WE Flow class is practiced in a room heated to 80-85 degrees. During the warmer months, your own inner-fire, tapas, will be used to heat the body and room. The class is intended to warm-up the muscles and joints in your body to allow for effective stretching and strengthening. Modifications to asanas (poses) are offered to find comfort and stability, as each practitioner is encouraged to and supported in “listening” to their body. A bottle of water and a towel are recommended (water is also available at WE). This class is not recommended for pregnant women.